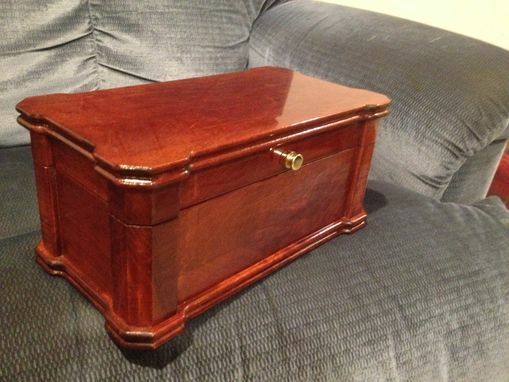 This box was designed at the request of a customer here on Custommade. 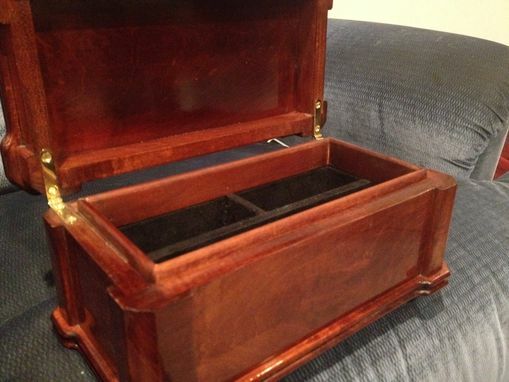 They requested a box designed for high end customers that use vapor pens. 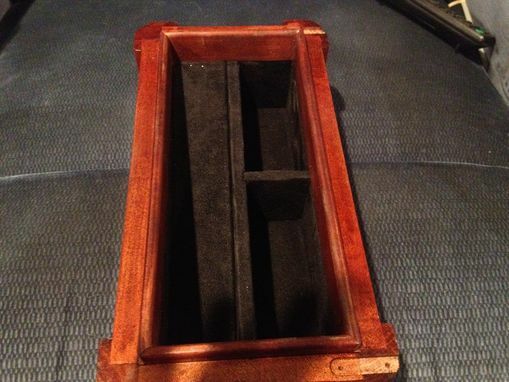 My design is solid maple with a velour lined interior. 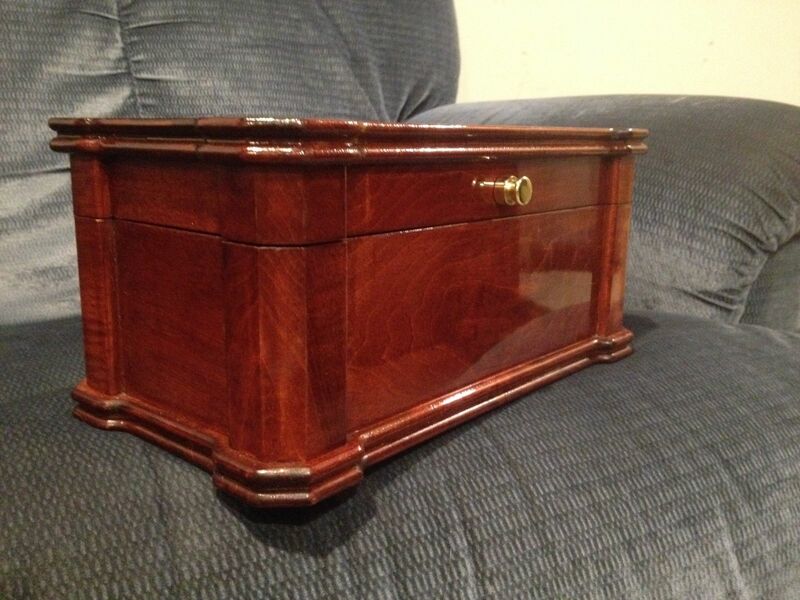 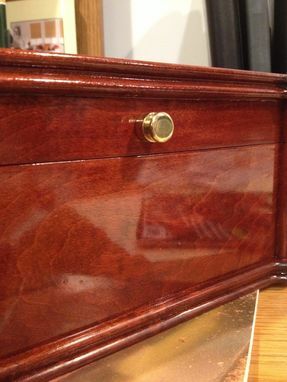 The box is finished in a high gloss cinnamon and the hardware is polished brass.